According to projections by the National Administrative Department of Statistics DANE at the end of this 2016, the population under 15 years in Colombia would exceed 12 million, representing approximately 26.44% of the current inhabitants. Rodrigo Nadal, manager Solve your Debt in Colombia, he says that "starting from an early age training on financial issues allows children as adults of tomorrow, plan a better future, manage responsibly and efficiently money, be more sustainable and face easily to economic decisions. " Teach them the value of money: explain where it comes from and bring them short- and medium-term as a way to encourage them. For example, if they are very small, propagates save to buy the sweet they like and when they are a little larger, perform the same exercise with an object of greater value. weekly allowance: give them a sum of money for their snack and a little more to have the opportunity to save. Lead them to distribute it properly and make it pay. Planning: share with them your monthly budget, teach them to record your income and subtract financial obligations. Invite them to perform this activity at his side when they receive their allowance, so they will be teaching financial management. Promote saving: when the child is young, a piggy bank is a good choice. 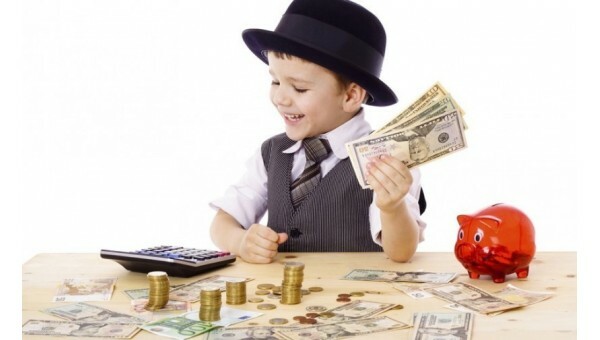 As they grow, you can find financial institutions that offer the opportunity to acquire a savings program that show them teaching money management, explain how banks operate, perform recreational activities and give personalized to alignment debit cards gradually to world of finance. Proposed him to the school financial programs: the association of parents can be a direct bridge for schools to implement recreational activities in financial education, so the savings are encouraged through games for students to learn and implement your knowledge. Reward: economic reinforcements are essential to know the importance of working for something they want. Attach them tasks like washing dishes, making toilet or year-end reward them for good grades in school, this will give them motivation to fulfill their obligations. Consider this example: do not forget that eventually children will always seek to imitate the example of their parents, so it is important to have a talk organized finance and economic issues as they grow. If you have a problem debts explain what was wrong, how it is solved and what measures will be taken not to make the same mistakes. While the financial difficulties of the household should be alien to them, you must also teach them that everything has a solution and it is important to assume responsibility for all decisions. February 12, 2016 February 12, 2016 Gregory P.